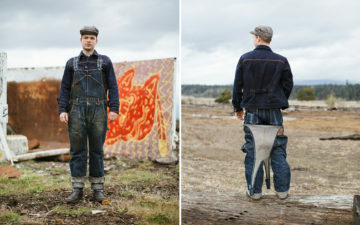 California natives Josey Orr and Paul Matthew recently launched a Kickstarter campaign aiming to combine their experience in manufacturing, e-commerce and menswear to produce a line of garments that embodies their passion for high-quality, affordable goods that are made in the USA. Under the name Dyer & Jenkins, Orr and Matthew have designed a small collection of tees, sweatshirts and raw denim jeans that, providing funding is secured, will be rolling out for customers in December. 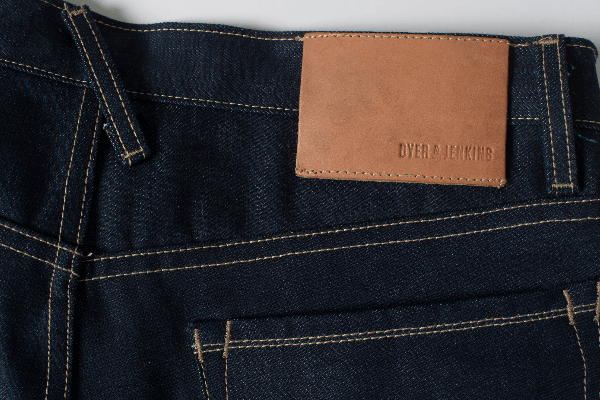 Dyer & Jenkins’ denim offerings are available in a mid-rise slim option as well as a high-rise straight fit and is the first Kickstarter funded brand (to our knowledge) to use denim sourced from the famous Nihon Menpu Mill. 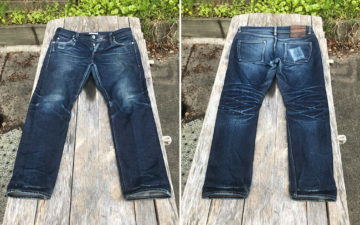 The jeans will feature copper hardware, a natural leather patch and chain stitched cuffs. Despite this impressive feature list, building quality products is only half of the duo’s goal. Though they are not the first, or last, to include this in their mission, an important part of their aim is to generate more jobs in America and educate customers on this subject along the way. 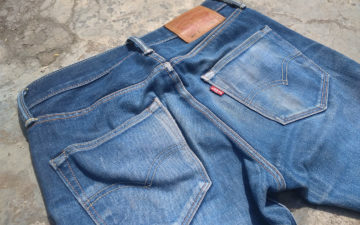 From our previous features, view points regarding denim brands using Kickstarter and other crowd funding techniques are polarized. In an effort to educate consumers and become completely transparent, Orr has written a meticulous blog post detailing the motivations behind starting Dyer & Jenkins and the sacrifices necessary to create a successful Kickstarter campaign. I have spent over a year, every day, working up to this point. I have spent countless hours and all of my money on this. To me, that is blood, sweat, and tears. Anyone who starts their own brand can testify to the painstaking process of sampling, creating a marketing plan, setting prices, etc. — the list goes on. Yes, there are plenty of brands who have worked their asses off for years, creating product, marketing it, selling it. I would have done the exact same thing.. but some of those brands, when starting out, didn’t have the opportunity to use Kickstarter. I do. Some companies have decided to cut out the retailers entirely and there is nothing wrong with that. We, however, are trying to remain open to the possibility of selling to a middle man one day; just not right now and not right away. Weight: 13 oz. and 13.5 oz.